New Renault Koleos is attractive and easy to recognise at first glance thanks to its new front end which embodies the brand’s new identity.The redesigned two-tone wheels provide the latest evolution of the model with extra character, while the chrome finish of the side protective strips adds a touch of distinguished elegance.A new, refined body colour – Ebony Brown – is now also available.The cabin, too, benefits from a new trim, plus new brown leather upholstery to harmonise with the Ebony Brown exterior finish. New Renault Koleos is equipped with the new in-dash Renault R-Link multimedia system complete with seven-inch touchscreen display. Renault R-Link permits the selection of one of 26 languages and packs all the expected multimedia functions, from navigation, radio and telephony to Bluetooth® connectivity and audio streaming, as well as connectivity for portable music-playing devices. It also proposes services associated with the vehicle’s own systems, plus access to the Renault R-Link Store which has a catalogue of more than 50 applications (depending on country) that can be downloaded directly to the vehicle or using a personal computer. Another important new feature of the car is the Blind Spot Warning (BSW) function which provides a visual alert whenever a vehicle is detected in the blind spot in order to facilitate safe overtaking. A reversing camera combined with rear parking sensors provides a real-time image of what is behind the car on the R-Link system’s display. 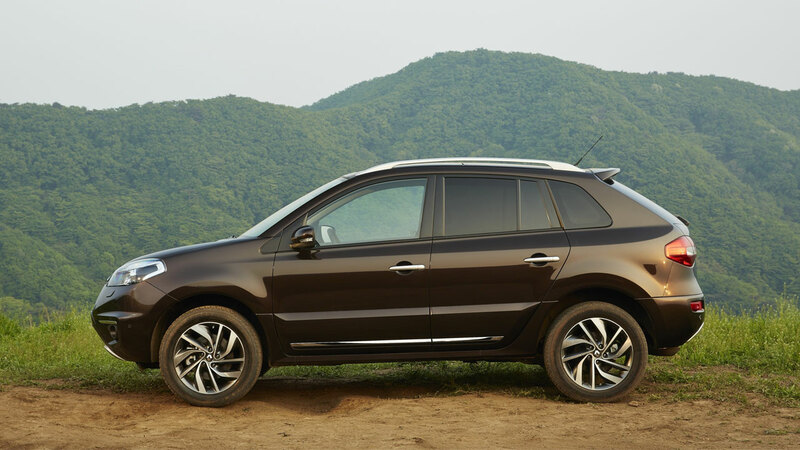 A hands-free card, Hill Start Assist and Hill Descent Control functions, and Bose audio round off the extensive list of high-end equipment available for New Renault Koleos. The front end of New Renault Koleos embodies Renault’s new styling identity which is founded on harmonious, elegant lines. The new bumper and chrome grille, which incorporates a large Renault logo at its centre, provide the vehicle with an assertive yet elegant look.The door mirror housings are equipped with LED indicators.New Renault Koleos’ SUV lines, high-up driving position and new, original two-tone wheels further express the model’s unique personality. 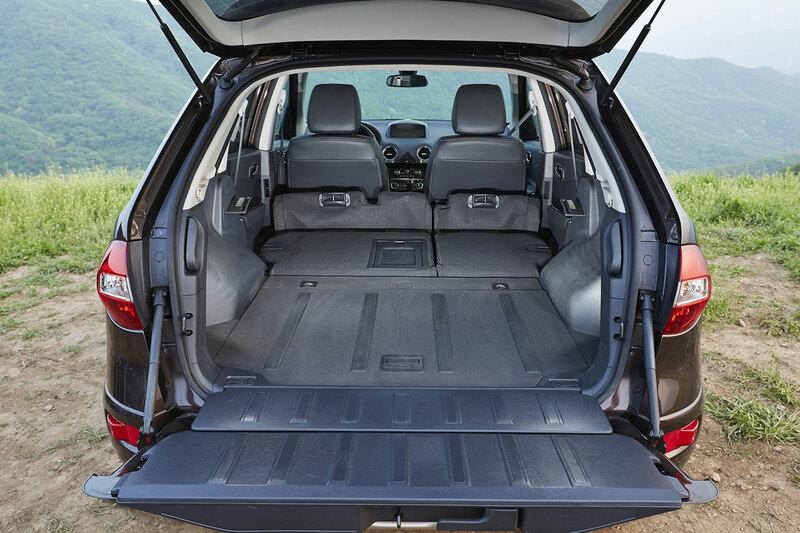 The rear screen retains the same rake that provides Renault Koleos with its dynamic stance.To facilitate access to the boot, the split-opening tailgate opens in two parts. The materials selected for the cabin are of an outstanding quality, while the finish meets the high demands associated with the segment. The centre console features a satin finish trim and numerous chrome highlights.Like the door panels, the centre console comes with wood inserts.New leather upholsteries have been added to the catalogue, while the 0.75-square metre opening panoramic sun roof ensures a brightly lit interior. New Renault Koleos is packed with technology and comfort-enhancing features, as well as the brand’s most innovative equipment.One of the chief differences with the former version is the in-dash, connected Renault R-Link multimedia system complete with a seven-inch touchscreen display.This highly innovative, smart and intuitive system was designed specifically for automotive use and revolutionises the world of motoring by simplifying manoeuvres and contributing to travelling comfort. R-Link is equipped with a large seven-inch (18cm) touchscreen display, steering wheel-mounted remote controls, a console-mounted joystick and a voice command function that allows drivers to use its functions without taking their eyes off the road. R-Link is also fully connected in order to provide access to a host of motoring-related services and to permit the downloading of applications from the R-Link Store. R-Link provides a user-friendly interface which covers all the car’s functions and data. The home page provides easy access to the different multimedia functions, TomTom LIVE navigation system and the R-Link Store. Users can even customise this home page and edit a list of favourite functions. With a catalogue currently including more than 50 applications, R-Link Store provides access to a long list of mobility-related functions and community-based applications already seen on smartphones. These applications can be downloaded directly to the car or via the My Renault website. 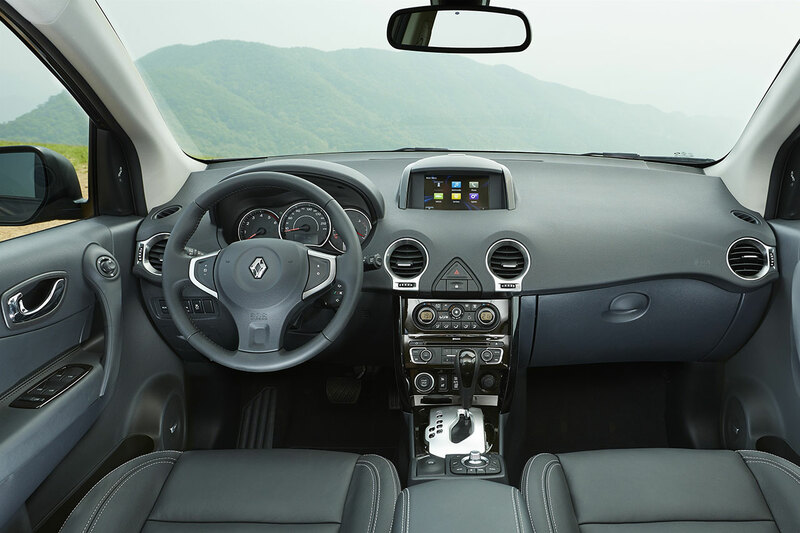 After being the first manufacturer to propose steering wheel-mounted remote control and in-car navigation, after introducing the hands-free card, after bringing high-resolution displays and GPS to a broader audience, and after pioneering with a connected navigation system (Carminat TomTom LIVE), Renault continues to innovate thanks to R-Link. In the case of New Renault Koleos, the Renault R-Link multimedia system can be controlled using either the touchscreen display or the joystick located next to the gear lever, depending on the users’ needs. Another innovative Renault technology seen on New Koleos is the Blind Spot Warning (BSW) which provides a visual warning whenever a vehicle is detected in the blind spot to facilitate safe overtakingAnother new feature is the reversing camera with image displayed on the R-Link display to assist parking manoeuvres. 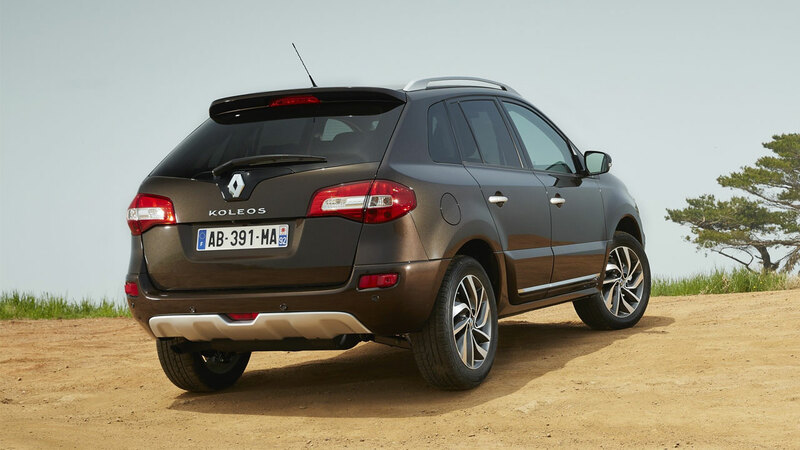 New Renault Koleos boasts SUV-leading comfort-related equipment. The cabin stands out as an eloquent example of the brand’s extensive savoir-faire. The driving position can be optimised thanks to the height-adjustable driver’s seat, as well as the reach- and height-adjustable steering wheel. The automatic dual-zone climate control allows the driver and passenger to select their ideal cabin temperature independently. The vehicle is also equipped with vents for rear occupants.New Renault Koleos comes with a variety of stowage solutions.At the front, there is a chilled 15-litre glove box, while the centre console comes with a removable stowage bin and the centre armrest incorporates cup holders. The split tailgate facilitates access to the boot. The upper part is practical when the car is parked in a cramped space or when carrying long items. The lower part can be opened to load heavy or bulky objects. When lowered, this part of the tailgate can also be employed as a solid, practical platform capable of supporting a load of up to 200kg. The 60/40-split folding rear bench seat incorporates the Easy Estate system which allows the seat to be fully folded from the boot in one simple movement. New Renault Koleos comes with a card for hands-free starting and entry, as well as an electronic parking brake, automatic headlight and windscreen wiper activation and cruise control with speed limiter. Meanwhile, the Hill Start Assist function is automatically triggered to prevent the vehicle from rolling backwards when starting on a gradient of more than 10 percent.For even greater travelling enjoyment, occupants can benefit from the Bose® Energy Efficient Series audio system. Tailor-engineered for Koleos’ cabin, it delivers a unique listening experience similar to that of a live performance thanks to an arrangement of seven loudspeakers, a woofer and a digital amplifier. In terms of active safety, and to help prevent accidents from happening in the first place, New Renault Koleos is equipped with ABS, electronic brakeforce distribution, emergency brake assist, ESC and understeer control. Even before the latter is triggered, the all-wheel drive management system is programmed to take corrective action by adjusting the front/rear torque split should over- or under-steer be detected. On the passive safety front, the vehicle’s structure incorporates programmed front and rear crumple zones, while the cabin is engineered to serve as a protective cell in an accident.New Renault Koleos is equipped with a wide range of occupant protection equipment, including six airbags, load limiter seat belts for the front and outer rear seats, pretensioners for the front seat belts and Isofix child seat anchorage for the outer rear seats. In a rear impact, the head rests and seats of Renault Koleos have been designed to ensure a very high level of occupant protection. 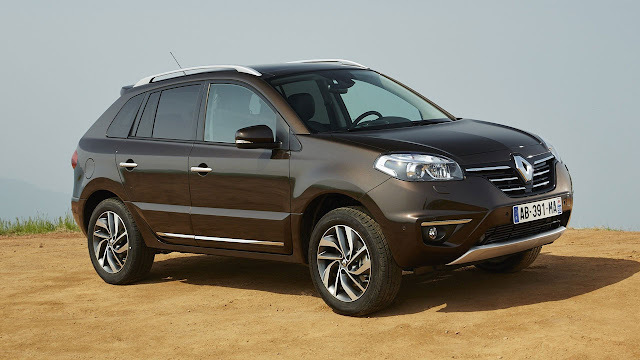 New Koleos can be ordered with two- or four-wheel drive transmission.Its flexible, high-torque engines provide it with real off-road ability.Its length and width are 4.52 and 1.85 metres respectively.It is a comfortable SUV which is a pleasure to drive in and about town. 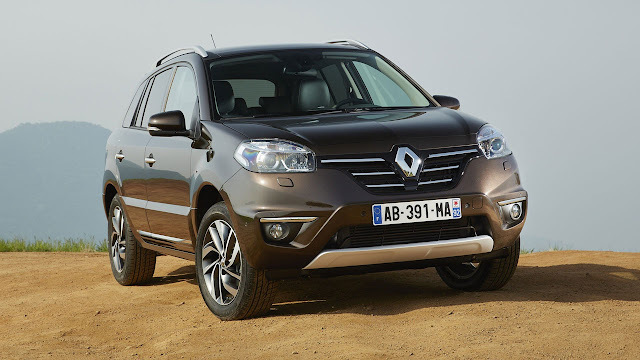 Its contained footprint, power steering and responsiveness ensure a pleasant, stress-free ride in built-up areas.The 4x4 version delivers genuine off-road ability thanks to its ‘All mode 4x4 I’ transmission developed by the Renault-Nissan Alliance. The transmission can be used in one of three modes: ‘Auto’, ‘LOCK’ or ‘2WD’.With the Auto mode selected, the front/rear torque split is automatically adjusted as a function of available grip.On normal roads, torque is delivered to the front wheels only.Should traction or grip be lost, a proportion of the torque is directed to the rear wheels.In extreme conditions, torque is split evenly front and rear.When starting, torque is divided among the four wheels. The way torque is distributed is controlled by an electronic coupler based on data received front the ECU and a variety of sensors (wheel speed, acceleration, steering wheel angle and accelerator pedal position).In LOCK mode, the driver can electronically lock the transmission in all-wheel drive when driving on snow, mud or dirt, for example. In this case, 50 percent of torque is transferred to the rear wheels using a switch positioned on the dashboard.In 2WD mode, the driver can lock the transmission in two-wheel drive.